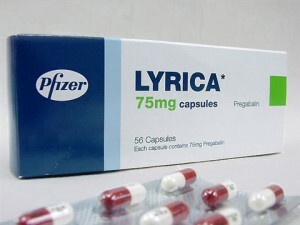 Common but easily treatable side effects of Lyrica (pregabalin) include dizziness, dry mouth, drowsiness and tremors. More serious but less common Lyrica side effects include congestive heart failure, an irregular heart rhythm, anxiety and unexplained muscle pain. Of these side effects , dizziness, drowsiness and coordination problems are the most reported. As both dizziness and drowsiness are such relatively common side effects, patients should not drive or operate machinery until they know how this medicine affects them and they are sure it won’t affect their performance. Some of these serious side effects are rarer than others. The rarest include kidney stones, hair loss, menstrual problems and anaemia. However, patients should still be vigilant for symptoms of any of these complications. If they believe themselves to be presenting any symptoms they should contact a healthcare provider. Patients should not use Lyrica if they’re allergic to pregabalin. If a patient has ever had a severe allergic reaction to anything else he or she should tell their doctor when being prescribed Lyrica. Other pre-existing conditions a patient would need to make his or her doctor aware of include congestive heart failure, kidney disease, a bleeding disorder, a history of depression or a history of drug or alcohol addiction. If a patient does not have kidney disease but is on dialysis, the doctor should still be informed of this. Patients should also tell their doctor if they have diabetes, unless they’re being prescribed Lyrica to treat diabetic neuropathy. Lyrica may cause serious and immediate allergic reactions in some people. Possible reactions include difficulty breathing, rashes, hives, blisters or swelling of the face, mouth, lips, gums, tongue or neck. If a patient develops any of these reactions, he or she should stop taking Lyrica and call a doctor immediately. Lyrica users have a higher chance for swelling and hives if they’re also taking angiotensin converting enzyme (ACE) inhibitors. Patients should therefore inform their doctor if they are taking these medications. If patients aren’t sure whether a particular medicine is an ACE inhibitor, they should ask their doctor. There are no adequate and well-controlled clinical studies regarding the effects of pregabalin on pregnant women. In animal studies, incidences of fetal structural abnormalities and other manifestations of developmental toxicity were observed. Due to these findings and the lack of controlled data on pregnant humans, pregabalin should only be given to pregnant women if there are no other alternatives and the benefits outweigh the risks. If an existing Lyrica user becomes pregnant, she should contact her doctor to discuss whether or not to continue taking pregabalin during the pregnancy. Weight gain is one of the most commonly reported Lyrica side effects. In clinical studies, more patients who were taking Lyrica for controlling seizures and fibromyalgia reported gaining weight than patients who were taking the drug to treat nerve pain due to shingles and diabetes. If a Lyrica user experiences drastic weight gain over a short period of time, this may be due to fluid retention and congestive heart failure, both possible side effects of Lyrica. Therefore if a patient experiences rapid weight gain, he or she should let a doctor know straight away. Most people tolerate Lyrica rather well and experience no problems with the medication. However, as with any medicine, some Lyrica users will experience side effects. In the majority of cases these side effects are minor and either need no treatment or can be easily treated by a doctor. The most important thing is to be vigilant for symptoms of Lyrica side effects and contact a doctor if any symptoms develop.